This type of field allows the developer to create quickly inputs to insert and update data, where the final user can inform its data to be allocated in its database. Defines the type of the field in the application. In this case we should select Text. Defines the title that will be displayed in the field when the application is executed. 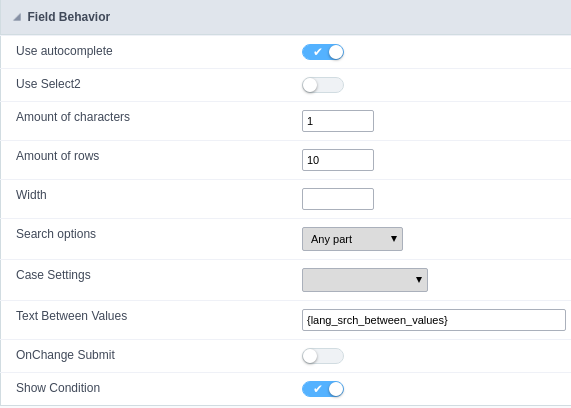 The terminology used in the interface is fundamental to the system have a good usability, whe should use names and familiar terms to the final user of the application, instead of using terms from the system. For example, this text field that has the name nomevendedor, the client would have a much better understanding of the functionality of the field when we define the label as Nome do Vendedor. Not only a fixed text, the Label atribute allows the use of langs to define the field’s title, making it possible to use your application in a multilanguage project. 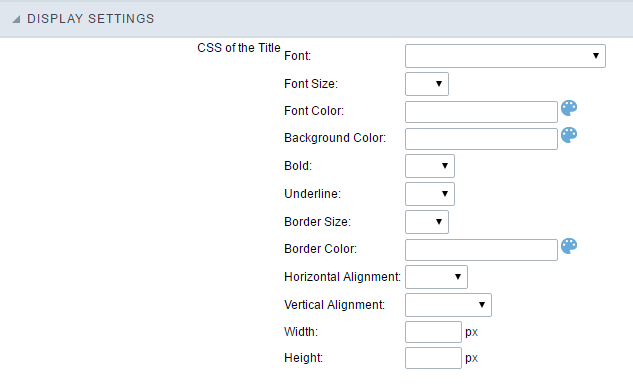 Allows to set the width of the text field’s input that varies with the ammount of characters informed. Although, if the ammount of characters typed are greater than the setting, the text will be pushed to the left, to keep the maximum ammount of characters as defined. Allows the user to determinate the maximum size used in the application field. Informs the type of the field in the database. Field automatically turns into autocomplete according to existing values in the database. Uses the new component for data selection, allowing searches within the select combobox. Sets a width for the area in the Select2. Sets the amount of characters to start the search. Sets the maximum number of rows to list the search result. Defines the validation that will be made to fetch the search result. Start equals to: Will return the records with the same start value as in the database. Any part: Will return the records when exist the character in any part of the record. End equals to: Will return the records with the same final value as in the database. Text that will appear when using a filter condition between two values. Submit search on this field changing. To show or not the search condition. It only works if the search has at least one condition.